This home is an absolute gem! 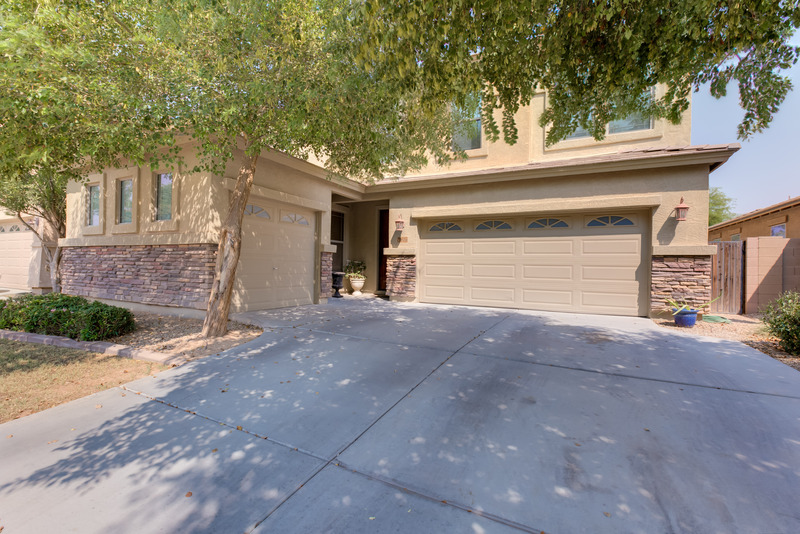 3815 S 99th Dr is wonderfully maintained with beautiful model home-like upgrades and located only a short drive away from the I-10. Upon entering the home, you will see the formal living room and dining room which are great for entertaining guests. The other living space boasts amazing features, such as, soaring ceilings, lots of natural light, and a stunning stair case. Beyond the main living space is the kitchen which is grand in size and in features too! 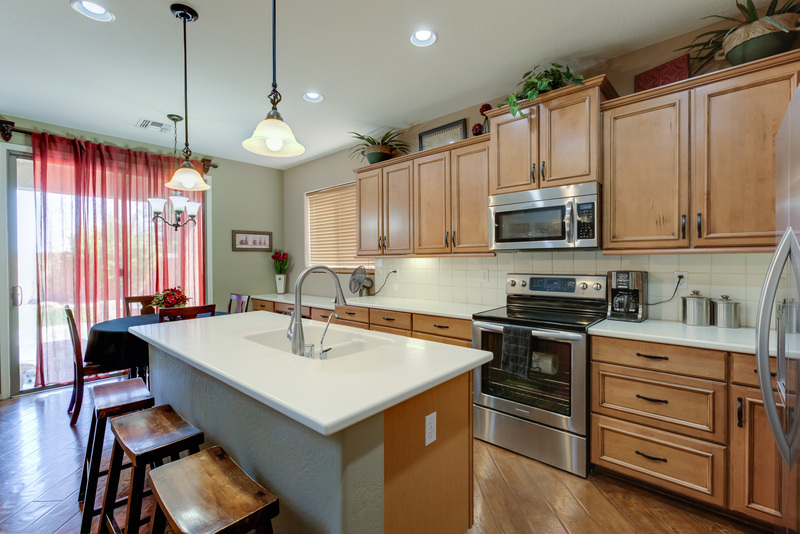 There’s more cabinet space than you’ll ever need, tough, durable, and easy to clean Corian counter tops, a massive kitchen island, and title back splash. The extremely spacious master suite is upstairs and features crown molding along the ceiling, which adds a classic touch. The master bathroom has dual sinks with ample storage space, a walk in closet, and a separate tub and shower. The two other bedrooms upstairs are the perfect size and there is also a bonus room that has beautiful built-in cabinets and can easily be turned into an additional bedroom! The landscaping in the backyard is the ideal mix between low maintenance gravel and luscious green grass. You’re going to love the built-in fire pit too! Don’t let this home get away, come see it today!